how you can make it at home. 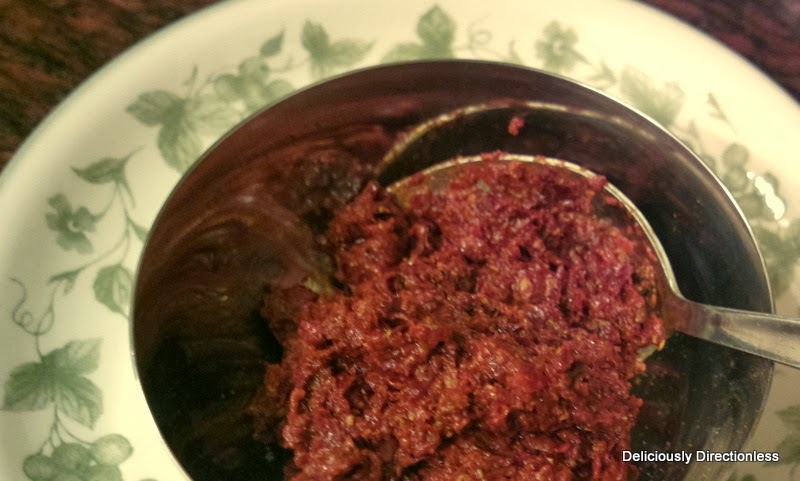 This recipe makes about 200 gm of harissa. 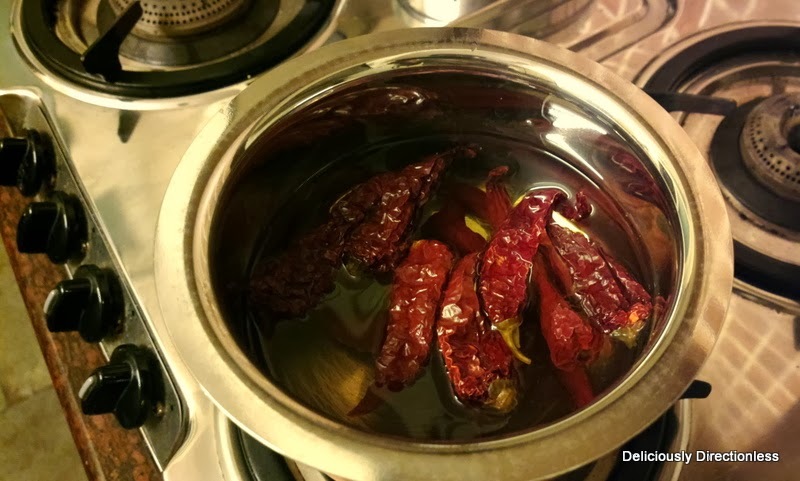 the softened chillies and discard the stems and seeds. the chillies along with half the olive oil and salt. paste-like consistency so add some more olive oil if the mixture is too dry. lemon juice and allow to marinate for a while. a pan, heat some oil and fry ¾ of the chopped onions. 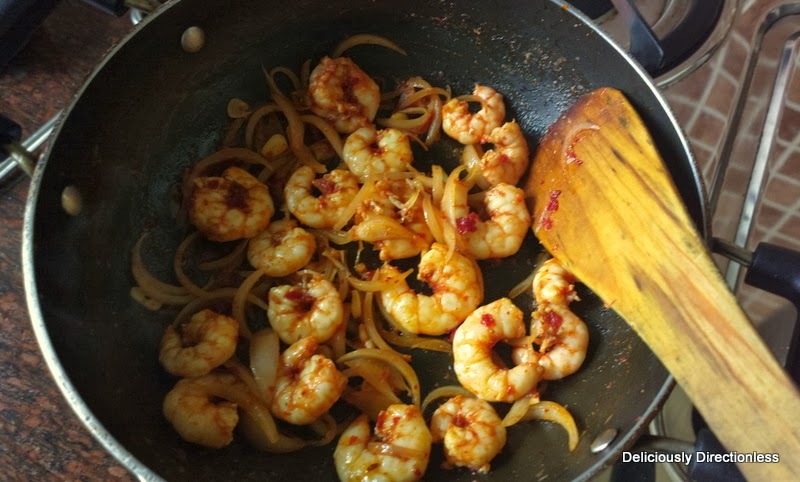 they soften add the prawns and fry till they are cooked through. chopped onion and coriander. Add a squeeze of lime. 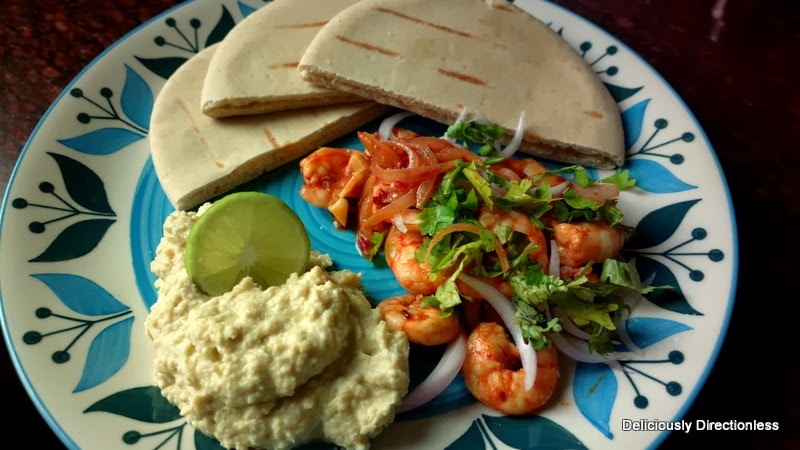 Serve with warm pita bread. get a smooth consistency. Adjust the seasonings as per taste. 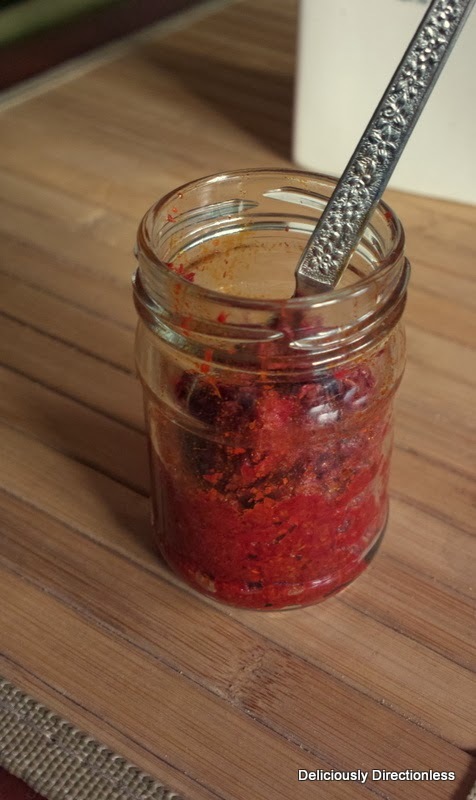 Thanks – this Harissa recipe looks awesome. 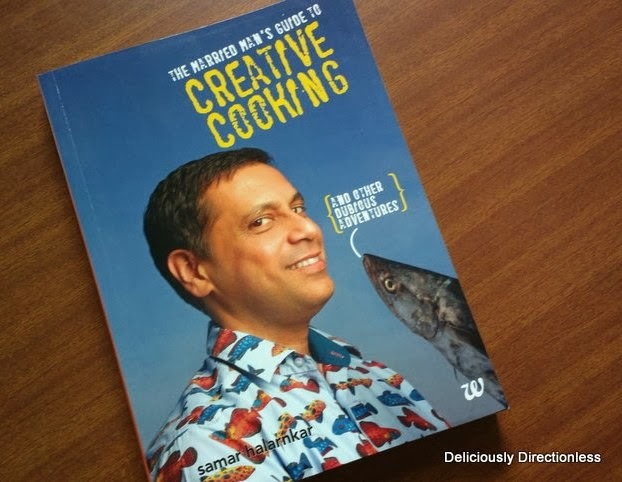 Can it also be had as a dip or is it more a marinade for cooking? For the Hummus, I also generally try putting yoghurt and white sesame seeds – it makes up for not putting Tahini..
P.S. 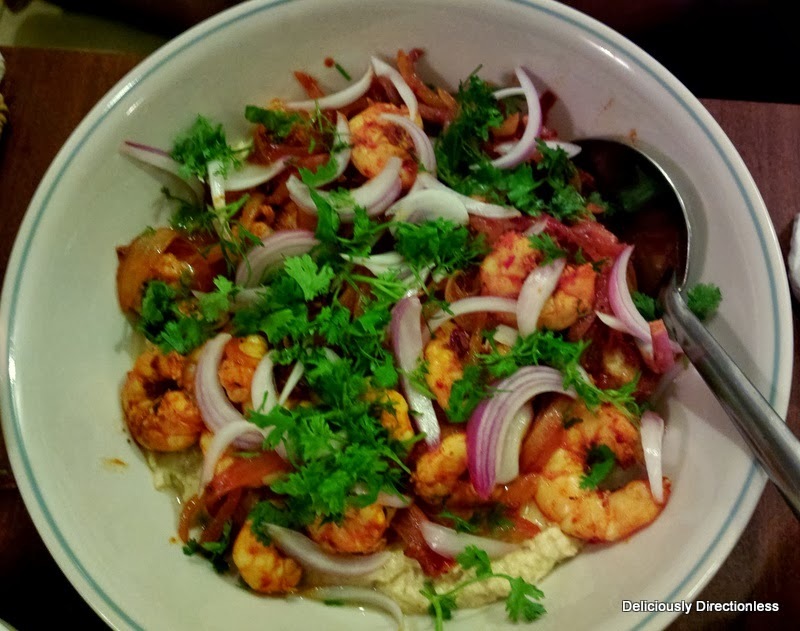 How did the Harissa prawns turn out? Thanks for the recipe, does harissa go well with any vegetarian dishes?